The 100% Authentic SMOK Morph 219W Starter Kit is the front-runner and new standard that we expect from dual 18650 starter kits. 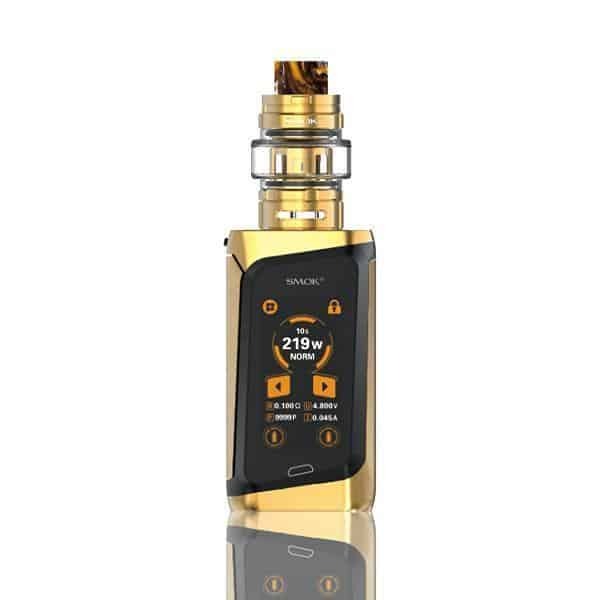 The new generation of vapers has it made with the Morph 219 Kit, which is paired with the all new TF 2019 sub-ohm tank. SMOK nailed the design of the Morph 219 mod with their signature and ergonomic side-firing button. 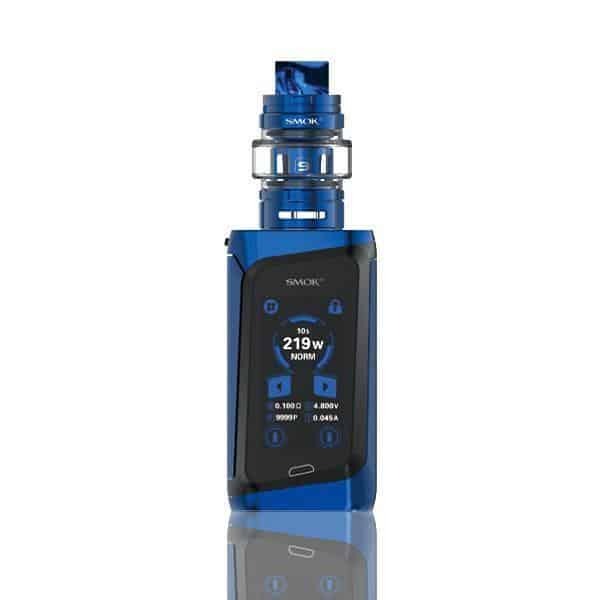 Ever since we saw it in the original SMOK H-Priv we’ve been a huge fan of how comfortable and convenient this design is. Above the side-firing button is a smaller secondary button which will toggle the touch screen functionality, turning it off or on. 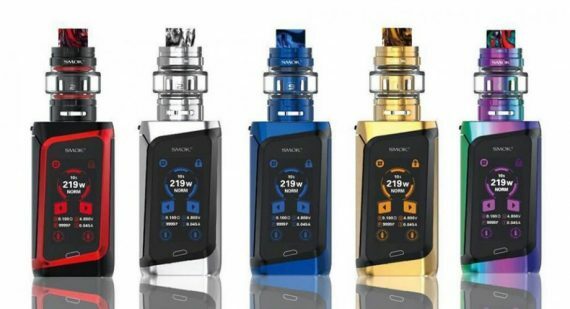 For your convenience, the SMOK Morph 219 will automatically lock the touch screen when you’re vaping…yeah, SMOK thought about that too. 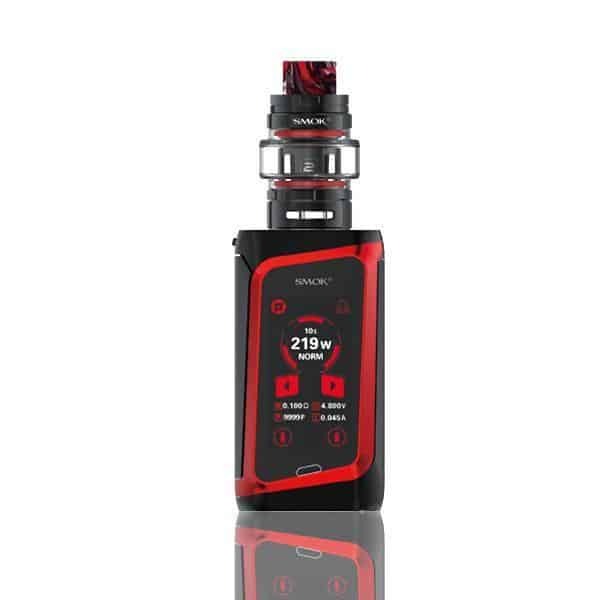 The Morph 219 is powered by two 18650 batteries, which allows you to pump up to 219W, and fire all the way down to 0.1 ohm in wattage mode, or 0.05 ohm in Temperature Control Mode. These features are all made possible by the brand new and game changing IQ-S chipset, which also boasts a fresh and innovative user interface that is displayed by a CRISP 1.9″ HD COLOUR CAPABLE touch screen. If you’re not excited right now, you may need to check your head. The new user interface is incredibly intuitive and responsive, with almost all of your settings available at the touch of a finger in the top left of the submenu panel. But frankly, this isn’t even the most exciting part of the new Morph 219 box mod, the real attraction is the new personalized ‘My Mode’. 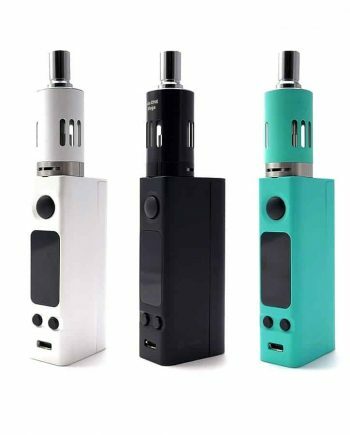 This never before seen feature allows you to save your wattage and preheat setting but also your flavour AND nicotine strength. Wait, what? This means that the Morph 219 let’s you have a go-to mode for your go-to flavour. This feature truly separates the Morph from the rest of the starter kit pack. 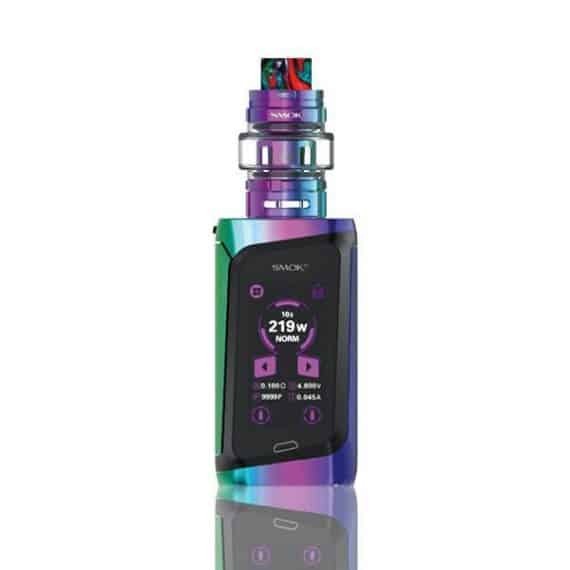 SMOK has even included an optional passcode setting that you can enable. This setting will stop other people from using your device, which is particularly useful if you have adventurous children. If you forget the passcode, there’s even security questions for resetting it. Really, they’ve thought of everything with this device. 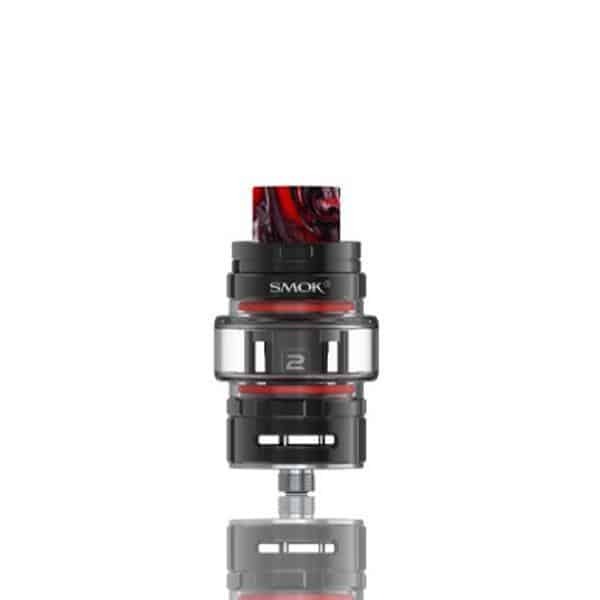 SMOK deemed that the latest and greatest mod deserves an equally as fantastic tank. 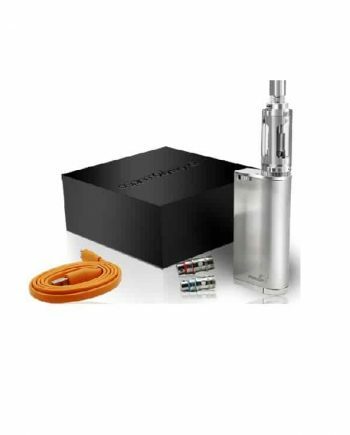 The Morph 219 Kit comes outfitted with the new TF 2019 Sub-Ohm Tank. 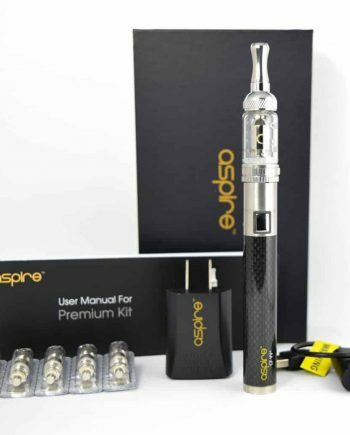 This finely machined tank has an incredible 6mL capacity with the convex bubble glass, and a 3.5mL capacity with the straight glass. Of course the TF2019 comes outfitted with SMOK’s signature push-to-open top-fill design, but where it towers over other SMOK tanks is in it’s larger airflow thanks to the elevated base. 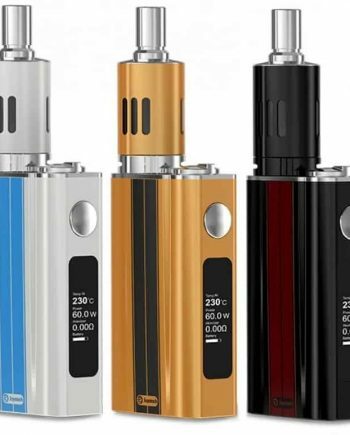 The TF2019 has a completely new coil family as well, because SMOK has gotten rid of threaded coils with this tank. That’s right! 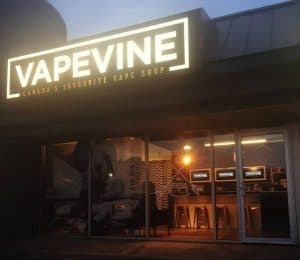 The TF2019’s mesh and ceramic coils use what can only be described as a plug-and-vape connection. Say goodbye to frustration and leaking from improperly machined coils with this brand new tank design. The TF2019 is the perfect match for the Morph 219, you get to enjoy the most consistent and intense flavour on the most innovative and technologically advanced box mod. Replacement Coils for the SMOK TF2019 Tank are available here.